(SE) (Pago Pago, American Samoa) 1984 - 2003. Photos. Framable Color Prints and Posters. Digital Sharp Images. Aviation Gifts. Slide Shows. 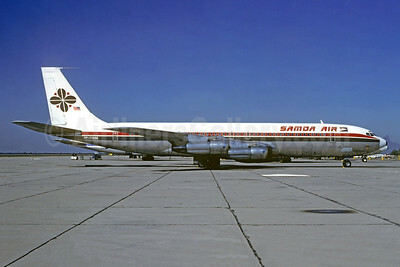 Samoa Air (USA) (1st) (Aero Filipinas) Boeing 707-351C RP-C1886 (msn 19034) (Christian Volpati Collection). Image: 945556.